USD is losing power due to the U.S Retail Sales. At the moment GBPUSD is under the influence of BoE decision regarding the rate. 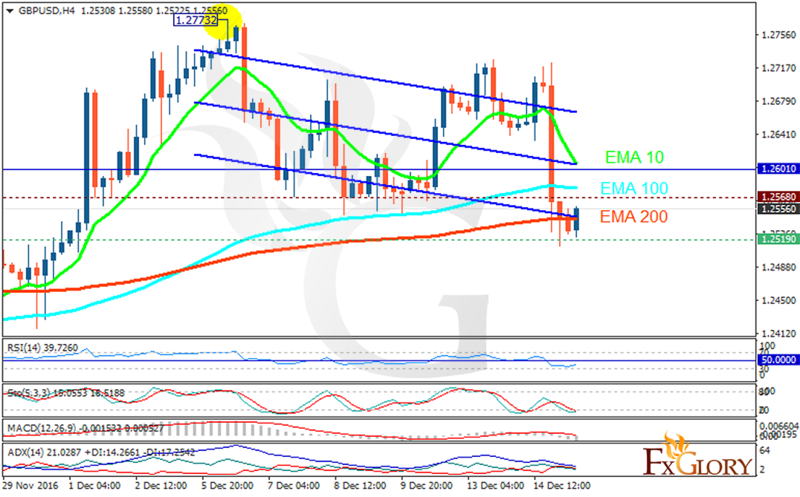 The support rests at 1.25190 with resistance at 1.25660 which both lines are below the weekly pivot point at 1.26010. The EMA of 10 is moving with bearish bias but it is above the EMA of 100 and the EMA of 200. The RSI is rising towards 50 area, the Stochastic is moving in low ranges and the MACD indicator is in neutral territory. The ADX is not showing any clear signals. The chart seems bullish for now targeting 1.2770.